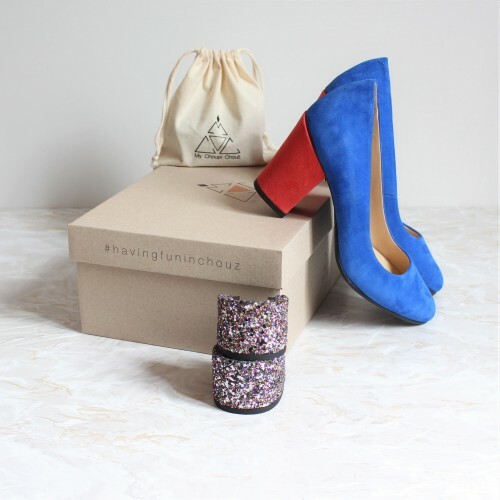 Enjoy 2 pairs of shoes in 1 at a nice price and express more your creativity with extra heels and accessories! 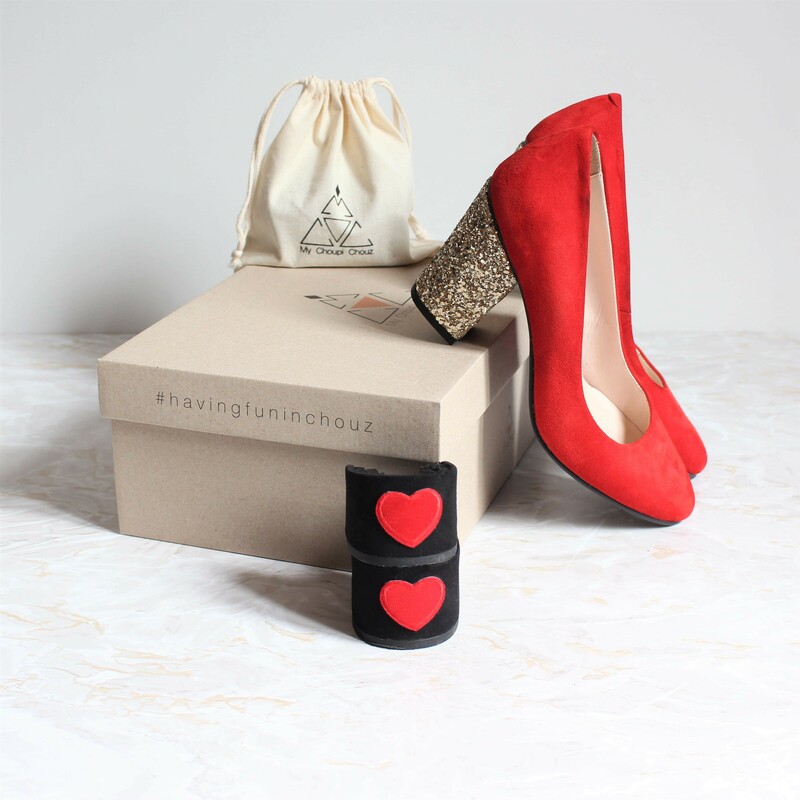 ♥ Some heels are not included in the packs and are only available on the "heels" tab. Feeling like offering the MCC? Discover the gifts cards! 2 pairs of shoes in 1 from €190: customize your pack of black babies by choosing at least 2 pairs of heels. Do you want a multitude of pairs of babies in one? Choose additional heels! 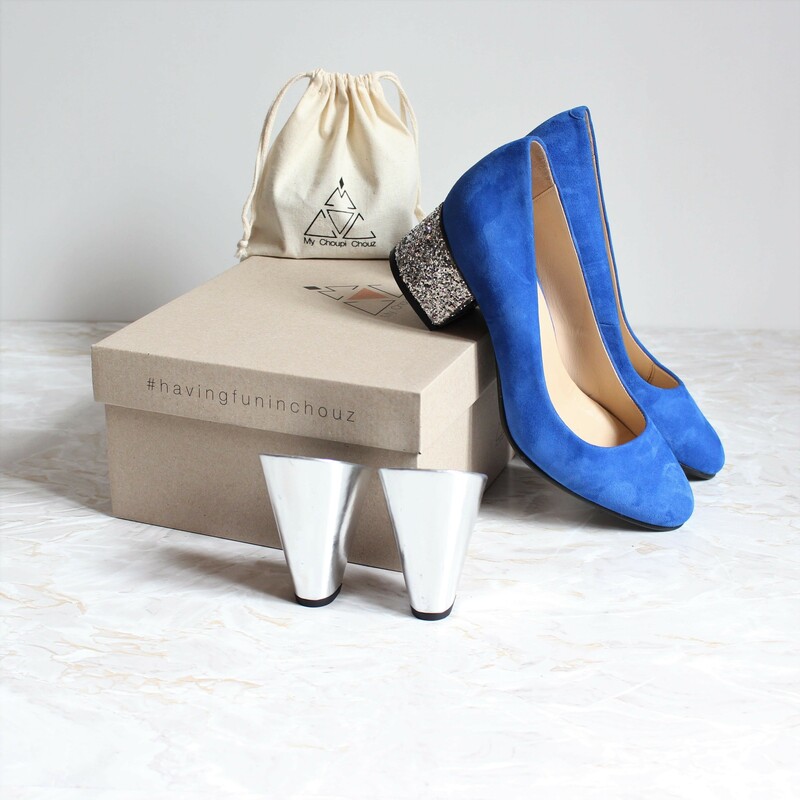 2 pairs of shoes in 1 from €190: customize your pack of blue pumps by choosing at least 2 pairs of heels. Do you want a multitude of pairs of pumps in one? Choose additional heels! 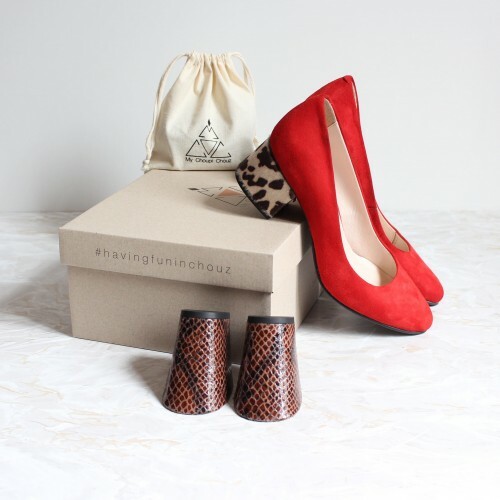 2 pairs of shoes in 1 from €190: customize your pack of red pumps by choosing at least 2 pairs of heels. Our Brochant black leather boots with zip and interchangeable heels are coming back soon! The details have been improved to offer you an even better boot. 2 pairs of shoes in 1 from €198: customize your pack of black boots with zip by choosing at least 2 pairs of heels. Please check your shoe size and the ankle measurements in the FAQ. 2 pairs of sandals in 1 from €160: customize your pack of beige sandals by choosing at least 2 pairs of heels. 2 pairs of sandals in 1 from €160: customize your pack of black sandals by choosing at least 2 pairs of heels. My Choupi Chouz offers you its digital or paper gift card usable on the whole e-shop. This is the best way to spoil your beloved ones, even at the last minute! Perfect for Christmas, a birthday, Mother's Day or just to please someone, it will change the lives of the women you love! To offer a gift card, please order it separately from other products, thank you les Choup's. Order our new model of paper gift card and receive it at home, in France, with its white pearly envelop!